Back cover blurb: I just can't understand how someone like him could do something like that. Amid the worst drought to ravage Australia in a century, it hasn't rained in small country town Kiewarra for two years. Tensions in the community become unbearable when three members of the Hadler family are brutally murdered. Everyone thinks Luke Hadler, who committed suicide after slaughtering his wife and six-year-old son, is guilty. Policeman Aaron Falk returns to the town of his youth for the funeral of his childhood best friend, and is unwillingly drawn into the investigation. As questions mount and suspicion spreads through the town, Falk is forced to confront the community that rejected him twenty years earlier. 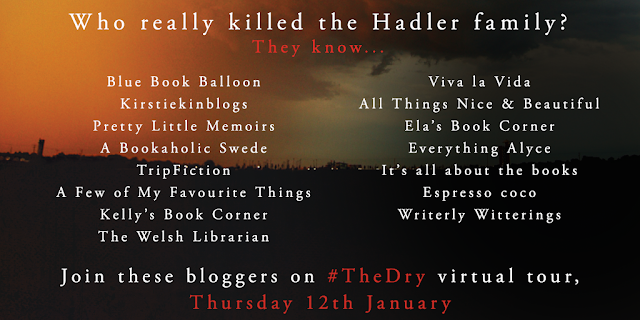 Because Falk and Luke Hadler shared a secret, one which Luke's death threatens to unearth. And as Falk probes deeper into the killings, secrets from his past and why he left home bubble to the surface as he questions the truth of his friend's crime. When Police officer Aaron Falk returns to his home town of Kiewarra for his best friends funeral, his intention is to return to Melbourne as soon as possible. Luke Hadler appears to have murdered his family before turning the gun upon himself. But although they both had secrets in their past, Aaron is almost certain that Luke wouldn't have killed his family, even if he killed himself. Rumours are rife through the town. Everyone is blaming the heat and drought for the tensions in the community, but Aaron knows it has always been this way. He himself was driven from the community as a teenager and no one is pleased to see him back. That is except for Gretchen, a friend of both Luke and Aaron's. She wants Aaron to stick around for a while, help the locals cops with their investigation. Aaron is really a fraud investigating specialist, but when he meets the local cop in charge he sees that they could do with a hand. He vows to stay no longer than a few days, but as they being the investigation it is clear that they won't be getting any clear answers for a while. 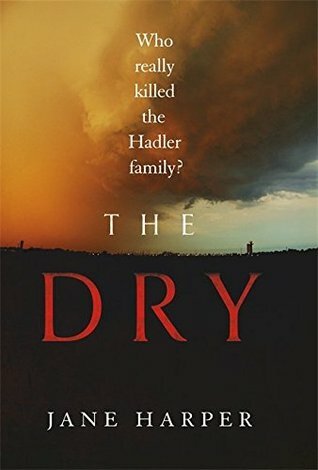 The Dry is a really clever novel, it keeps you on your toes through out and even when you think you have it sussed, something changes. This is a fantastic debut, and I hope that there is more to come from this author. 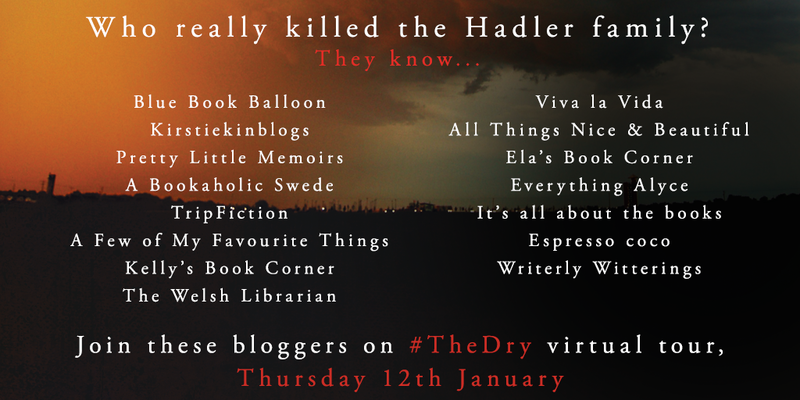 The Dry is available now via Amazon online and all good book shops.